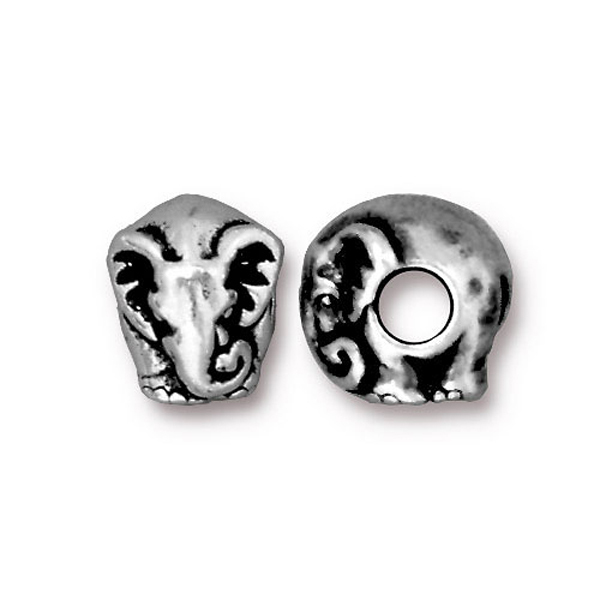 Made in the USA, large hole, bead approximately 4mm spacer bead with elephant design. Fine Silver Plate over pewter. Does not contain lead or nickel. Quality product at a reasonable price. Outside diameter approximately 12mm, across the bead approximately 5mm.